Over the last few months I had seen many of my friends and colleagues do the Ice Bucket Challenge but for some reason it did not feel right for me. I had read on Paul’s blog about the rice challenge that some people were doing instead. It started in Angola where water is scarce and it would not be appropriate to waste water so they changed it to the rice. Then last week Paul nominated me to do the rice challenge. I had seen Paul donate his rice but living in Scotland I knew it would be quite different. So first of all I looked online for local food banks and found one quite close. Unfortunately the first thing I saw on their website was an appeal for urgent items, there was 5 items and 3 of these were chocolate, brown and tomato sauces. I reflected on if you were truly desperate for food, would chocolate or brown sauce be one of your top things. I suppose it goes back to poverty in the developed world is a very different poverty than that in the developing world. I bought my rice and visited the food bank with my mum, there was no big ceremonial handing over of the rice and the people working there were polite but not particularly talkative. I had wanted to find out more about who visited the food bank, what were their situations but this was not possible. When I returned home I remembered seeing a woman being interviewed on the BBC a few months ago. Her name was Jack and was a single mum with a baby son. She had to give up her job as it was impossible to work and look after her child. 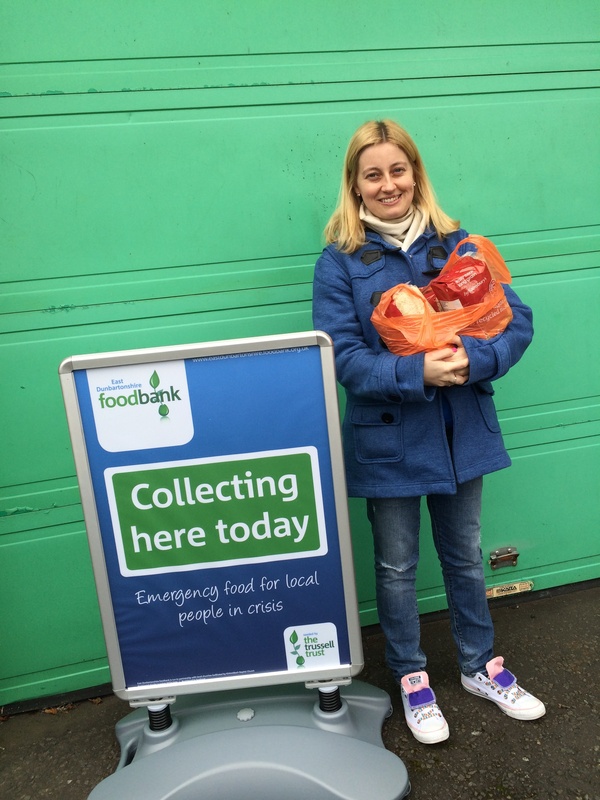 She calculated that with the money from her benefits and her outgoing expenses she had £10 left each week for food. She took a different approach from visiting a food bank, she went to the library and started looking for recipes which were healthy but also kept within her budget. 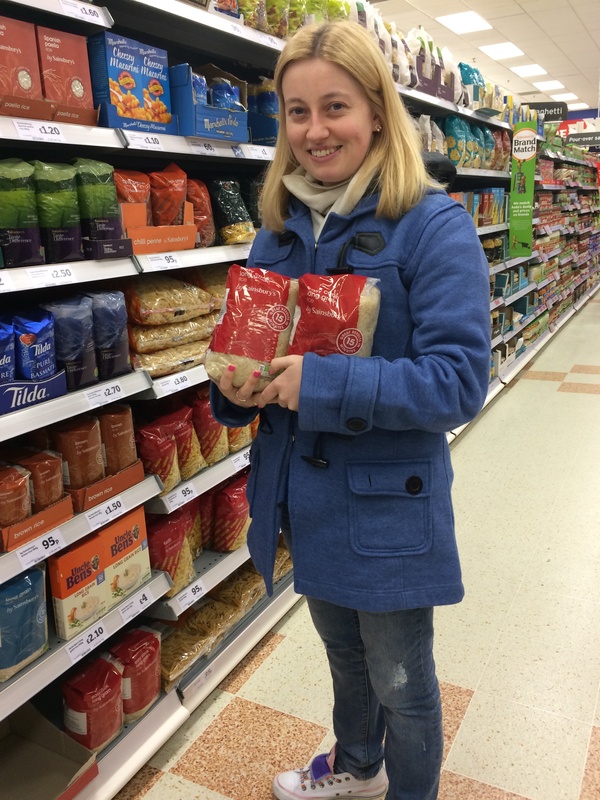 She then started visiting her local shops to find out what time they discounted their food each day and with this information she started to live her life with her £10 a week. Jack started her own blog with her recipes and has built her life from quite a humble start with her son but she demonstrated that working hard and being resourceful is the best teaching tool for her son. In comparison to this there are quite a few stories of families in the UK who are living on benefits but who seem to spend their money on unusual things in their circumstances. One example is a family with children in North Wales. They do not work and their only income is through benefits. Each week they spend £15 on Sky TV, £32 on mobiles and £240 on shopping which includes 24 cans of lager, 200 cigarettes and a large pouch of tobacco. It astounds me that a family would spend so much of their benefits on lager, cigarettes and SKY TV. I remember meeting a lovely man whilst I was in South Africa on the RSIS service project, he was the gardener at the centre. He was a gentle man who was a grandfather and was already in his 70s. He was very cheerful and did not ever give you any idea of worry or need in his life. But one day through general chatting he told me that he walked to work each day as it meant he saved the money of the bus. The walk was 3 miles each way, so 2 hours of walking each day just to save his bus fare. The money he saved was not huge but he told me that it all adds up. Would people in the developed world consider doing this to save a little bit of money, unfortunately I think not. All people have to take responsibility for their lives and to better themselves. I wonder in the UK, do people just expect to be looked after. If there was no welfare state would there be a motivation that it is up to you to better yourself, not the government to provide. It is a terrible thing in this world that in the developed world we have people in poverty, children in poverty and families visiting food banks but there are procedures in place to ensure a child will not die of hunger in the UK. If we saw a child living on the street in the UK it would be reported straight away. In many developing countries countless children live on the street and people walk by them each day as they slowly die of hunger without a second glance behind. Each year 2.6 million children die of hunger. This entry was posted in Community Partnerships, Culturally Aware and Interactive, Innovative and Proactive, Karen Partyka, Reflective Practice, Service Learning, Social Enterprise and tagged Karen Partyka by Paul Crouch. Bookmark the permalink. Lovely ideals Karen, but I am saddened that you seem to be implying that people on benefits are wasting their money, or are expecting to be cared for. Saddened and disappointed by the lack of understanding of the social and economic pressures that drive people to seeking out some small pleasure to alleviate the humiliation, judgement and fear that is a daily occurence for many of those forced into these circumstances through no fault of their own. I have heard people bemoan the fact that “benefits scroungers” have an internet connection in their home. What they fail to mention is that Job Seekers benefit is dependent on a huge number of proven job searches, mainly online, and that the Job Centres no longer provide free access to Job sites. If I had to choose between paying bus fares to and from the Job Centre, (which is, in my limited experience, a bleak, automated, humiliating experience, where service users cannot even use a toilet), and paying them for the privilege of using the service they demand you use, OR using those funds to have permanent access to the internet within my own home, where I can set up alerts for jobs, and gain access to them instantly, I know which I would choose. I wish that rather than judging, and drawing comparisons, people would all word to eradicate poverty in EVERY country in the world. Rather than holding the Third World countries up as an example of how the broken poor of our country should be living, we should be uniting to rid the whole world of the need to live poverty stricken, joyless lives of nothing but hard labour and daily struggles just to survive. I was expecting this to be more about the rice donation idea and less about those on benefits. It’s very easy to sit and say their money is wasted and therefore maybe shouldn’t be offered at all. But from experience I know that this is VERY far from the truth. The lack of help from job centers is disgusting. no phones, no job points, to get an appointment you have to phone a premium rate line. For example, to make an appointment to hand a sick note, I was told that even though i was physically standing inside the job center in question, i had to phone said premium line to make an appointment to hand over a piece of paper (using a full appointment slot) The whole system is flawed because it is run by a government completely out of touch with the daily lives of the public. there are those that take advantage. sadly! but there are also those that are in genuine despair through no fault of their own. Even when you do find employment (usually with no help whatsoever from the job center) they stop all benefits making it extremely difficult to even get to the job each day, Never mind feed yourself or heat your home. By comparison, these issues do not even begin to match up to the issues faced on a daily basis of those living in real poverty in the third world, however it is unfair to dismiss the struggle of others here with the “get up and get on with it!” attitude. this isn’t realistic or helpful. We have to deal with the society that we live in on a day to day basis. And this for some people, is difficult.